As a parent and educator, toys that inspire curiosity, imagination, problem solving all while being engaging, entertaining and fun are always on my radar. It&apos;s a tall order to fill especially when you eschew battery eating, noisy toys that can be a nuisance to parents and too stimulating for children. 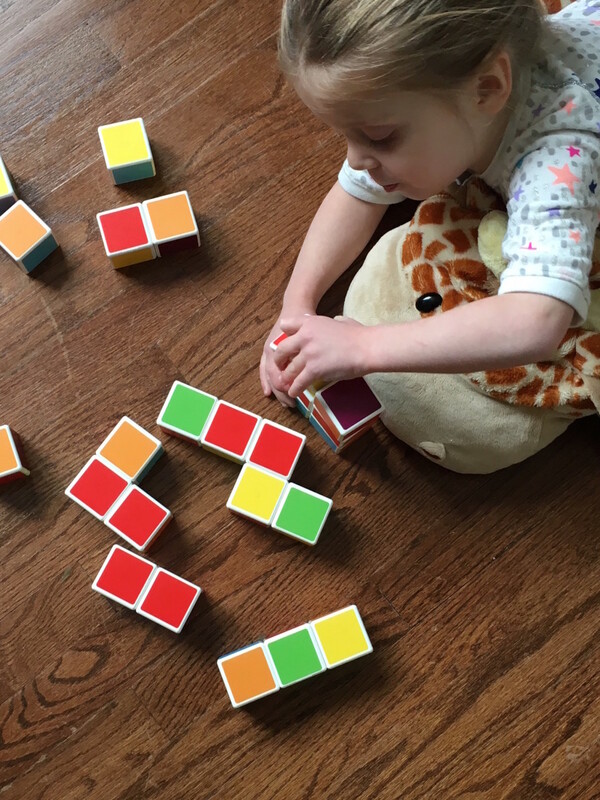 Geomagworld has an incredible line of STEM-strengthening, magnetic building toys that are a fave among my children (4, 8, & 10) and their friends. We even spotted them at our library and on a recent museum visit. We are excited to give away a prize pack to one lucky reader including The Safari Park Animal Set as well as a 27 piece Magicube Free Building blocks. Geomagworld&apos;s latest additions include a brand new cube which uses the power of magnetism to help children create using their imagination. Developed for a wide range (18 months+), the new Junior Construction product line is ideal for even the youngest of children. Geomagworld magnetic cubes are key in developing manual skills, strengthening dexterity as well as problem solving skills. They are fun, easy to handle and durable. 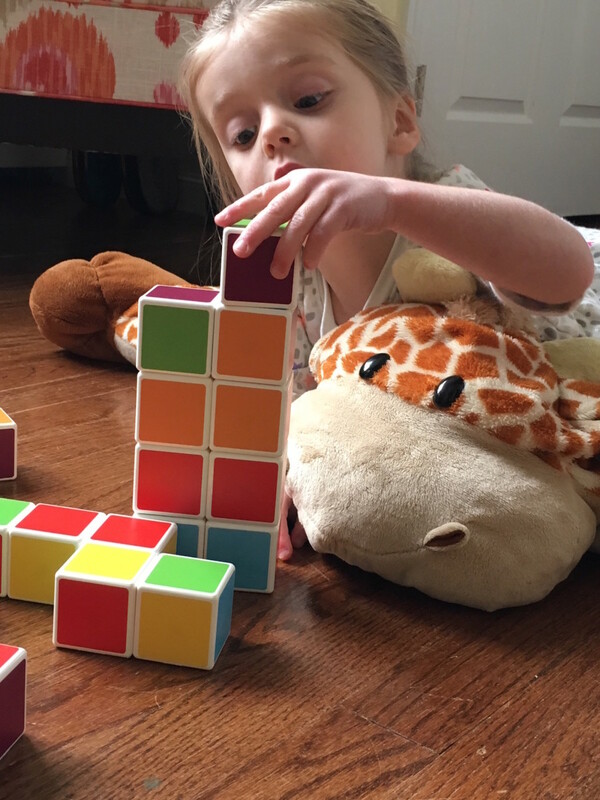 I love how these Magicube products are really geared toward the younger builders, inspiring critical thinking skills at an early age helps us nurture a child&apos;s love of learning. As a momma of a preschooler, I know the power of educational toys. The magnetic cubes offer hours of stimulating play that will challenge your child as well as strengthen the ever-important STEM skills. This innovative line of toys is a construction system made of magnetic cubes which attach to each other on every side. By using invisible and "magical" properties of magnetism, children can build whatever they desire, pushing their imagination to the limits. They can build different shapes/color combinations exploring 3D building like never before. 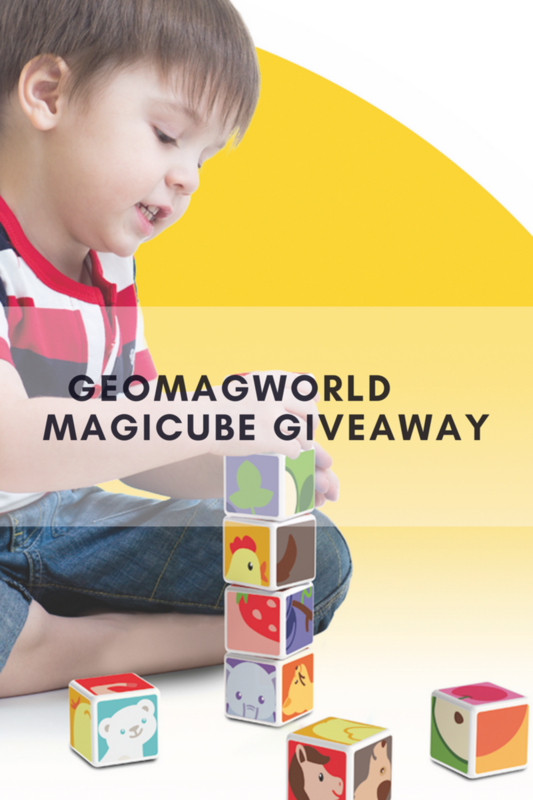 The Geomagworld Magicube magnets are strong and the shapes really hold allowing children to play with whatever they construct. The Safari Park Animal Set​ contains 14 different cubes with pictures on to create either a lion, giraffe, parrot or a camel. (Don&apos;t worry "how-to" instructions are included). Building the 3D animal really helps play time come to life. Magicube Free Building frees creativity and gives the power to the preschool child to build whatever they can imagine. Available in sets from 8 up to 64 individual, magnetic, colored cubes, Magicube Free Building enables children to engage in solid 3D building in a simple and creative way. All Geomagworld sets are compatible with one another, can be attached from any side, and are easy to manipulate~building on those much needed fine motor skills. Magicubes are fun, educational and inspire learning through play. Learning through play helps children make connections and learn to make sense of the world around them. During interactive play, children learn while tackling real life problems by engaging their problem- solving skills thus building on their higher order thinking skills. 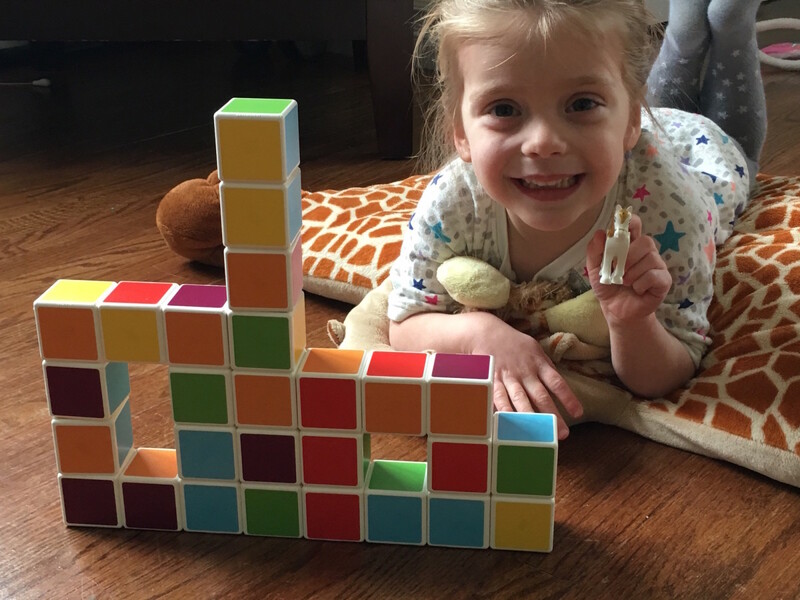 Playing with toys like Magicube helps children develop social, cognitive and emotional skills (plus boosts their self-esteem and confidence) necessary for them to grow and successfully engage in new experiences.